Elevate his style and comfort with the Spyder Limitless Rising Zip Turtleneck Mid-Layer. The first thing you’ll notice on this piece is the custom printed graphic detail that meshes perfectly with your little skier. 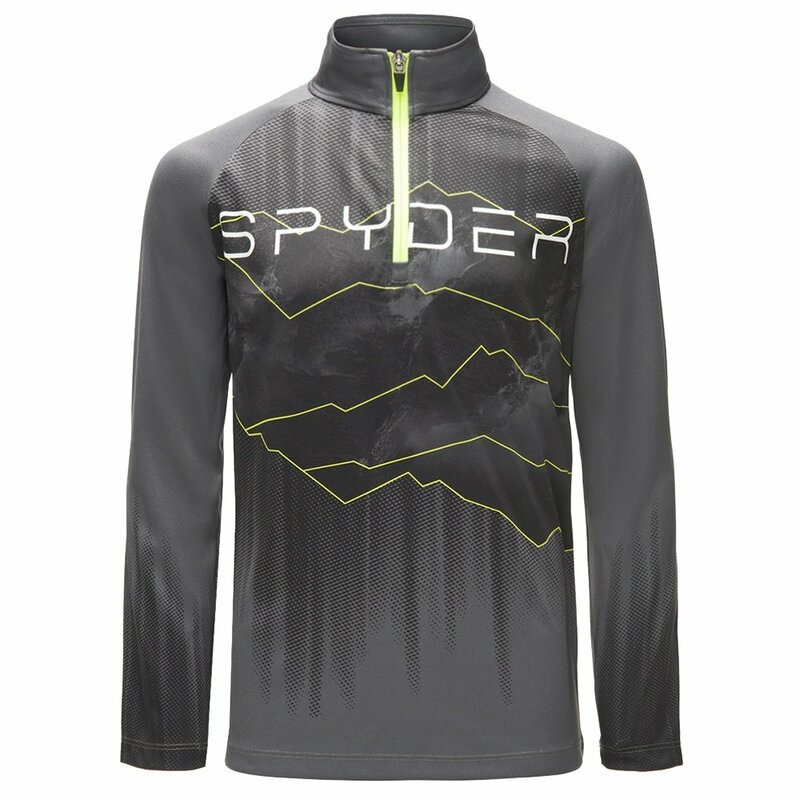 This mid-layer also has Spyder’s DryWEB™ fabric that’s designed for quality moisture-wicking that’ll keep him dry even if he spends all day on the slopes. The front half zipper also makes adjustments and removal a breeze, perfect for on-mountain convenience.